She had a life-changing conversation with her doctor. For Michele Combs, energy policy is not a partisan issue … it’s personal. Her interest began when she was pregnant with her son. Curious where that mercury comes from, Combs did some research. And she found that coal-fired power plants are the largest source of mercury pollution in the U.S. 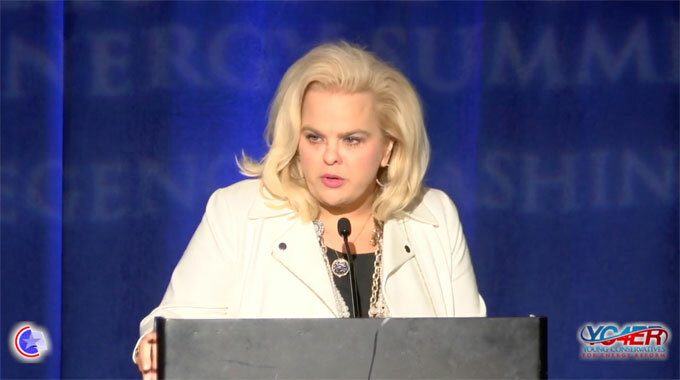 In 2012, she started a group called Young Conservatives for Energy Reform. Members meet with conservative city, state, and county leaders to explain how policies that support solar and wind energy can help protect the air, water, and people’s health. Reporting credit: Daisy Simmons/ChavoBart Digital Media.